TechnoProzium: Intel shows DX11 graphics in VLC media player! Intel shows DX11 graphics in VLC media player! We told earlier that CES 2012 is going to be very interesting and so far it is turning out to be very much so. But at the same time there have been some controversies floating around. Intel's recent Ivy Bridge Ultrabook demonstration being the latest one to spark some conspiracy theories. Funny thing is this whole debacle was pretty much avoidable as we'll see in the end. Things started with Intel showing off their latest gizmos that is the Ultrabooks. For those who are not familiar with the term Ultrabook, it's a new form factor introduced by Intel and its partners recently. The idea is not a new one though as Ultrabooks are basically ultra-portable and compact Notebooks in an attractive envelope - much like the popular Macbook Air from Apple. The demo was about the upcoming Ultrabooks which would feature the much anticipated Ivy Bridge CPUs from Intel. 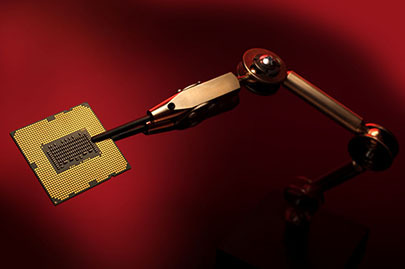 Ivy Bridge CPU is supposed to be the first chip made in 22nm process and should have better graphics capability compared to its previous generation of chips as promised by the giant chipmaker. As we all know graphics performance is the Achilles-hill of Intel's CPU line, Ivy Bridge would be a very important step-up for Intel's integrated graphics road map. Ivy Bridge will also be the first Intel chip to feature DirectX 11 which in process would help them to restore the parity with the offerings from Nvidia and AMD as both of them already have DX11 in their products. So in this particular demo, everyone's eye was fixed on how Ivy Bridge IGP (Integrated Graphics Processor) performs. Things started well as Intel's Mooly Eden, VP, PC Client Group, presented a real time havok physics rendering demonstration of a troll, which is impressive. Next up was a DX11 racing demo, where Mr. Eden was supposed to play a live game on one of the Ultrabooks shown off. But as soon as he started the game playing session - VLC control panel popped up!! It was a clear indication of the fact that it was not a real time graphics rendering rather a per-recorded video clip running on VLC media player. We all are fans of VLC player, which is one of the best media player out there. But surely there is a dimensional gap between running a recorded game session and playing a game live on a PC! It was hilarious and embarrassing at the same time because it was supposed to be a LIVE demo of Ivy Bridge's graphics prowess and nothing in Mr. Eden's talks earlier suggested otherwise. See the video linked above for yourself to be the judge. Afterwards Mr. Eden tried to rectify the situation by saying "they're running it from backstage" but it was a little too late for that. Rumors started to fly and forums became full of conspiracy theories suggesting Ivy's IGP is not performing up to the expected level. Some even went a bit further by claiming that Ivy bridge DX11 functionality is broken! Later though Intel came out with an acceptable clarification and assured that Ivy Bridge IGP is capable of running real time games and that it was mere lack of time and space which caused the confusion. If that is the case then I feel it's safe to say that it was a stupid PR stunt that went wrong and the situation was avoidable. When you have nothing to hide why would you run a recorded video instead of a live demo without disclosing the facts first? In the end IB (Ivy Bridge) might just be fine and performs as expected (we'll see it soon enough as IB is due to launch in March/April, 2012) but this kind of deception only adds to confusion and controversy. Intel is a market leader in many ways and has a very high stature, I hope they'll learn their lessons from this kind of mistakes.